With temperatures skyrocketing to the balmy 70's on Thursday, it definitely felt like spring was in the air as patrons wound their way to the Tivoli Theater for the Chattanooga Symphony's latest offering. It almost seemed odd not struggling with a coat. The program consisted of only two works, offering a vivid contrast of the old and new, the time-worn and current fare—but in reverse order. 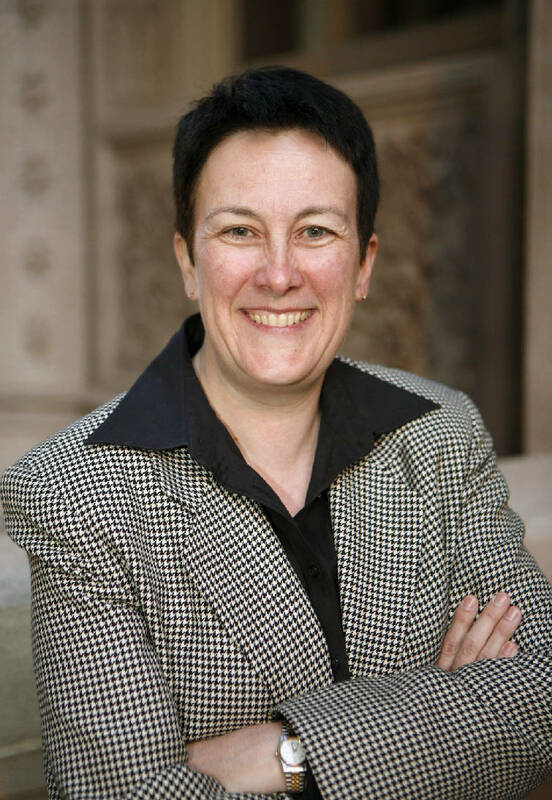 The concert opened with a recent composition by one of classical music's hottest composers, Jennifer Higdon. Her works have been commissioned by a long A-list of the world's ranking symphonies; but unlike many modern classical composers, her music is widely performed as well. In fact, she is one of the most performed of living composers, with the CSO programming her "blue cathedral" in 2011 (which has enjoyed over 500 performances since 2000). She boasts an equally long list of recordings, with her "Percussion Concerto" winning the Grammy for Best Classical Composition, also in 2010. Her "Violin Concerto" won the Pulitzer Prize for music in 2010 and is organically linked to her years of study at Curtis Institute in Philadelphia where she was a classmate of the current superstar violinist, Hilary Hahn, for whom she composed the work. Although a recent composition, the concerto falls into the three traditional movements of fast, slow, fast. But that's probably the last thing one might find traditional about this piece. Its style is probably best described as Post-Tonal—that is, one tapping into any style or technique that seems to work: an strong interest in tone color (like the knitting needles on the bells in the concerto's opening); polytonality (music in more than 1 key); short melodic motifs (rather than traditional melodies); and a strong rhythmic presence that provides the central organizing core. The soloist for the evening was none other than Holly Mulcahy, the tall, red-headed concertmaster of the CSO, in her second season. She studied at the Peabody Institute in Baltimore and has performed with numerous ensembles such as the Baltimore Chamber Orchestra, the Nashville and Milwaukee Symphonies, both in the US and abroad. In 2011 she performed "Piano Trio" under the direction of composer Jennifer Higdon. Mulcahy plays a 1917 Giovanni Cavani violin and authors an on-line column, Neo Classical. Higdon's "Violin Concerto" carries the novel title of 1726 for its first movement, the street address of the Curtis Institute. It opens with eerie harmonics on the violin, accompanied by orchestra bells being struck by knitting needles. Angular melodies echo from various sections in the orchestra with lots of string pizzicato, producing a kind of pointillistic effect. Add to that sounds ranging from lush to edgy, with lots of glissandi (sliding from note to note) along the way, and you may have some feeling for the variety and novelty of the first movement. Mulcahy seemed to meet the musical demands with ease and assurance. Her intonation was impeccable, and she dazzled with the mid-movement cadenza. The second movement, "Chaconni" (a repeated chord progression) opened with a haunting melody that was shared with various sections of the orchestra that built to an exciting climax and then drifted away to a hush—all over constantly shifting harmonic sands. The finale, "Fly Forward," describes the incessant perpetual motion-like trip that built to a frantic climax with the soloist's fingers and bow constantly in motion. With the final rousing chord, Mulcahy received cheers and cries of Bravo. The composer, Higdon, was also present to take a deserved bow. Although the overall style was no doubt a stretch for some listeners, maestro Kayoko Dan displayed an impressive control of her highly polished forces who mastered the intricacies of this demanding score. This was an excellent performance. After Intermission, one of the repertoire's musical warhorses was trotted out: Tchaikovsky's "Symphony No. 6 in B minor, Op 74" (Pathetique). While Tchaikovsky enjoyed success during his lifetime, this work was more problematic. Although cast in the typical four movements, it concluded with a whimper and not a bang—as was expected with most symphonic works. The composer apparently then added the term "Pathetique" as somewhat of a needed commentary—the word meaning passionate or arousing pity. But the composer died a few days later during a cholera epidemic and never lived to see his work become one of the most famous in the orchestral repertoire, as well as finding an incarnation in pop tunes and as background for movies, video games and the 2010 Olympics. It's a challenge to perforem such a familiar work as most listeners are acquainted with it in highly edited recordings, conducted by superstars maestros. So there's always the strong possibility that listeners will find the live performance wanting. This was hardly the case Thursday evening. The CSO opened the monumental work with great energy and focus, and this continued almost unabated throughout the four movements. Kayoko Dan drew a wide range of dynamics from the players, and in the first movement, she evoked the most unforgettable crescendo that began quietly but grew and grew over a long phrase in mass as well as volume. Absolutely spine tingling. The soloists in each section were outstanding while the string sections outdid themselves in providing a full and sweeping sound—absolutely necessary in Tchaikovsky. Intonation was excellent and runs were clean. Although the performance lacked some of the dark Russian soul and its intendant suffering, it was none-the-less a performance of the first order. A fine offering of both the new and old for appreciative patrons. On Sunday, the CSO will perform a completely different program, Opera Faves and Raves, at the Volkswagen Conference Center at 3:00.